We still have so many more videos to post on this blog. I want them all on here...this one place dedicated just to her. I am so glad that we are those parents - the ones that try to record and capture everything by photo or video. We are obsessed with our girls. Mark and I found some more hidden on his computer yesterday. These two that I'm sharing today are just too cute. Well, they're all just too cute, aren't they? She was too much cuteness. It is easier for me to watch the ones of when she is younger...it feels more detached. She is two years old in these videos...so much different from four years old. I could watch these for hours. I am so so so glad you have all these videos of your sweet girl. She is perfect in every way. boogers. boogers. boogers. She is a little sweet trillium fairy. Her voice is so enchanting...always enchanting, my baby girl. I LOVED watching these. You are such sweet parents...I can see the absolute adoration in Mark's eyes as he plays with her. Her little voice and creative little ideas (cleaning out Mark's ears) I remember so well. Thank you for posting these sweet friend. Love you all so very much. Oh my that voice, that unmistakable sweet profile, she is just so special. And I can her your emotion and the pride in your voice to be her mother. Her voice is the cutest thing ever! Always was. You just fell in love when she spoke a word to you. These videos are priceless. This is Camille Biggs (Vocker now). We worked together for a year at Cornerstone Christian School right before you met Mark. I heard about the passing of your beautiful Vienne from Becky on Facebook. I'm so very sorry for your devastating loss. 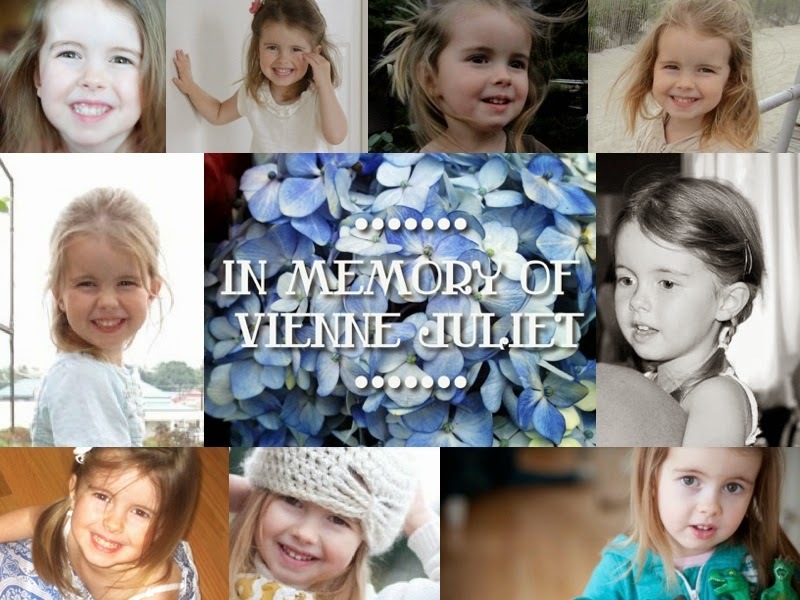 From what I've seen and read on this blog (which is fantastic by the way), she was such a beautiful, special, precious little girl. She reminds me so much of you, actually! I just wanted to reach out to you and let you know I'm praying for you and your family. You've been on my heart and in my mind since I found out shortly after she passed away. Your blog is very touching. I enjoy reading about your precious memories with Vienne and I'm gripped by the raw emotion you share as you walk through your grief. It reminds me to hold my own little ones a little bit closer since no one is guaranteed tomorrow. I plan on checking back every now and again and look forward to whatever else you have to share. God bless you and Mark and Ivy!